Any keen cyclist will tell you that food plays a big part in what they do. I’ve lost count of the number of times I’ve started meticulously fantasising about incredible meals as I near the end of a ride, my energy stores completely diminished. Generally, the idea is not to get to the point where you can hardly turn the pedals through lack of sustenance, but hey, it’s happened to us all. Obviously, the best way to avoid running out of gas on a ride is to eat regularly on the bike, or if you can’t do that, stopping and eating a large wedge of cake is another nice option. These days, I tend to limit my cake rides to once a week when I head out with Mid Devon Cycling Club, although even then, I’ll take a snack just to be sure – I’ve been riding long enough to know that I ride far better if I’m really well fuelled. When I’m not out with the club, I’m usually training on my road bike and if I’m riding for over an hour and a half I’ll stick a snack in my jersey pocket. When out on the trails riding my mountain bike, my backpack is always well stocked. You get the point, I’m sure. I take care never to be too far from food! Though some energy bars are very nice indeed (Clif Bars, I’m talking about you! 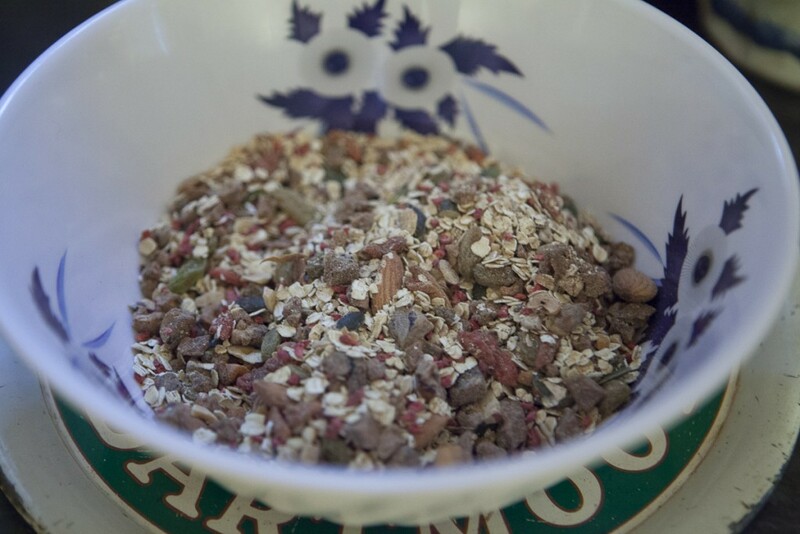 ), eating a lot of commercially produced energy bars isn’t really ideal as they can contain quite a lot of sugar. It may be brown rice syrup or something else masquerading as healthy, but the body can’t actually distinguish between ‘good’ sugar and ‘bad’ sugar, so it’s best not to rely on sweetened energy bars all of the time, particularly if you also consume energy gels. 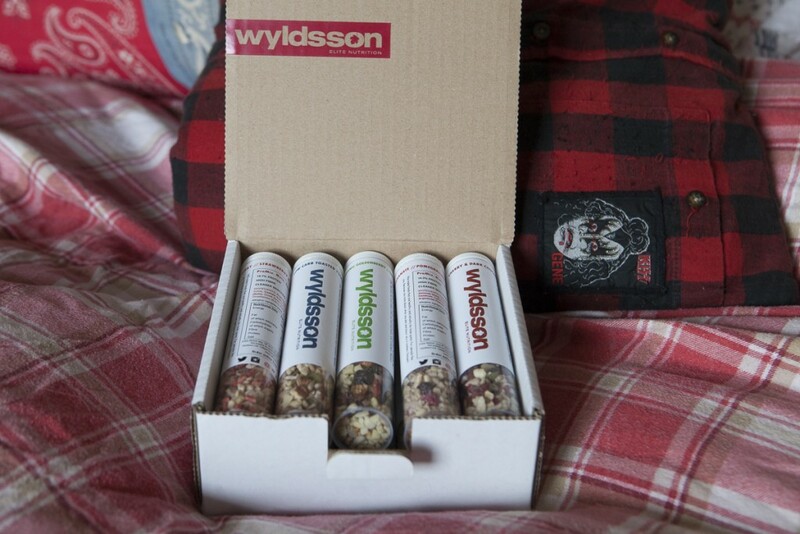 An alternative is to bake your own bars at home, and there are plenty of recipes all over the web showing you how to do that, but honestly, sometimes (often) I just can’t be bothered, so I was intrigued by Wlydsson’s new Bake At Home bar mix. It looked like it could be a nice compromise – not full of rubbish, but not a faff. The bar mix comes in a pouch in one of three flavours. It’s £3.49 for the bar mix itself which makes about ten bars; pretty good value considering one sports energy bar can be about two quid. 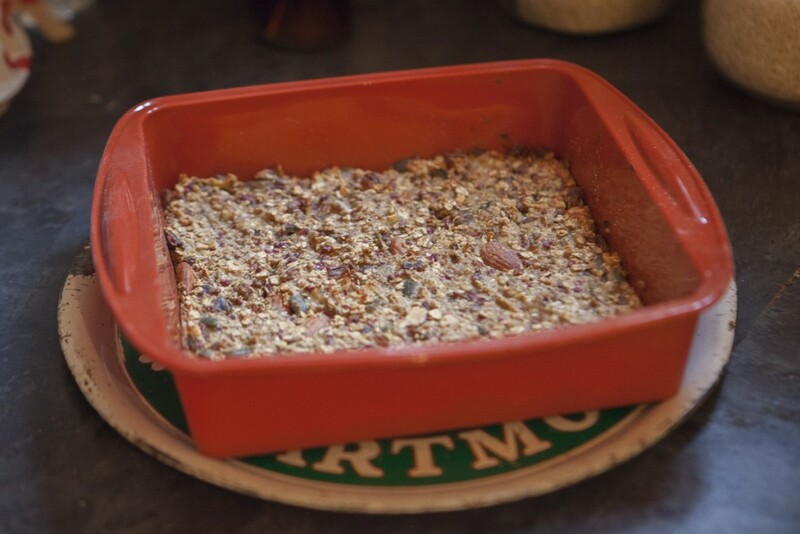 All you do is mash a couple of bananas in a bowl, add the mix, an egg and some nut butter, then stir and pop into a baking tray. It takes no longer than a minute from pouch to tray and twenty minutes later, you’ve got fresh energy bars with no nasties, ready to wrap and use. The bars are oaty, fairly soft and totally ram-jammed with lovely seeds and berries. They’re not overly sweet and they taste vaguely of banana. I’m fairly ambivalent about the taste – I wouldn’t eat them for a treat, but I’d use them as fuel. My husband absolutely loved them. 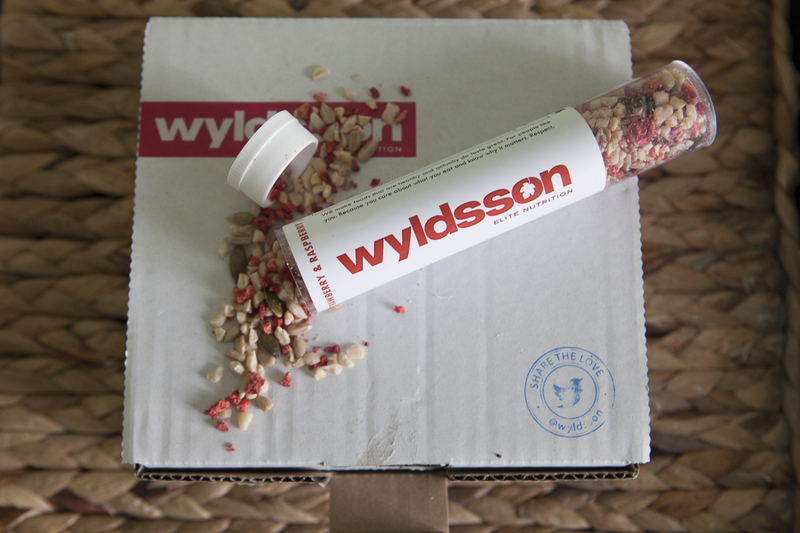 I preferred Wyldsson’s Pro Mix Snack Tubes – these are pretty awesome! There’s no faffing, no syrupy binding agents, just a whole tube of nuts, seeds, fruits and sometimes chocolate to pour down your throat. The flavour combinations are brilliant (cherries, cashews and dark chocolate, anyone?) and they’re clean, hygienic and fit easily into a jersey pocket. My only gripe would be that it’s hard to get the lid on and off with gloves on when you’re riding a bike, so some kind of squeeze tube system with an integrated lid would be better. It’s £15.99 for a sample pack of ten, or you can buy a refill pack which works out a fair bit cheaper. Yum. If you fancy trying any of these products, use the voucher code bikes to give you 20% off till Friday. What should I eat for bike racing?